Many cemeteries have done this for years, but now many other large corporate organizations are now moving back to this direct sales strategy, favoring it in order to cut through the digital noise and to help their brand stand out above the rest. But how could in-home sales help YOUR cemetery sales? And what is the best practice in in-home sales? This post will offer you guidance on how you can make in-home sales work for your cemetery! For your finance guys whose main concern is the bottom line: With in-home selling, the spend’s clear and it’s easy to track the ROI, making it quick and easy to see if it’s a strategy that works for you. Top tip: Use a CRM system to easily track leads and ROI. In the cemetery sales business, sales processes can take weeks, months, or even years – but in-home you have one shot to get it done. The excuses that prospects use are genuine and unscripted; you’ll know the truth about why people aren’t keen to purchase. Sure, rejection never feels good. However the silver lining is that you’ll better understand objections and be able to prepare accordingly for your next visit. This information can also be fed back to management to enable them to refine their offering and tailor their image and marketing messages. A face-to-face interaction is more effective than a telephone conversation or direct mail. A study by the Harvard Business School revealed that a face-to-face message results in 13 times more brand recall than a message delivered through other marketing pieces. Advisors can make a lasting impression and build trust that cannot be achieved through other marketing methods. 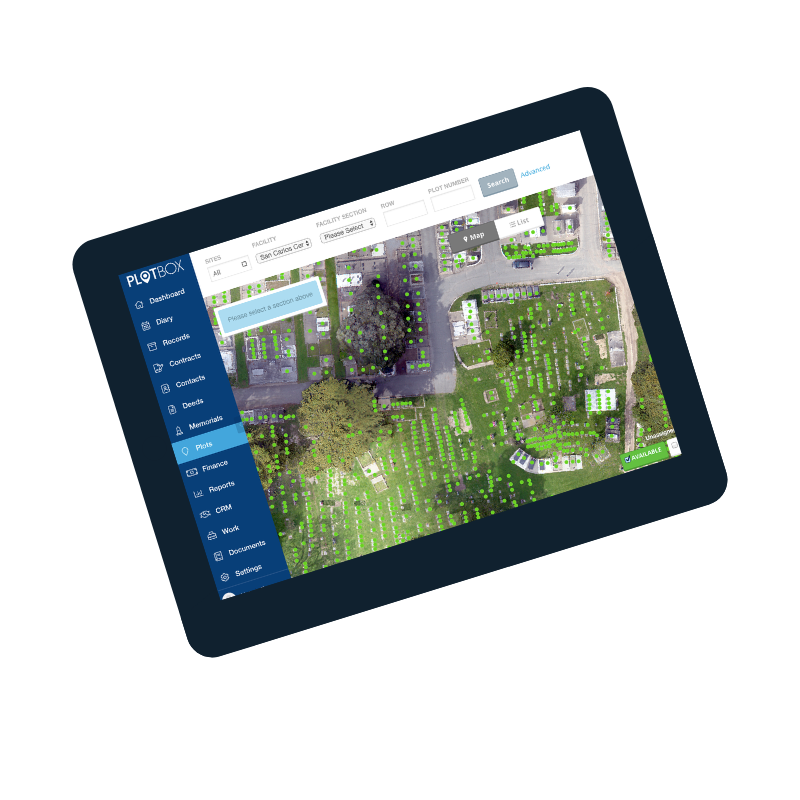 There are cloud cemetery management solutions available that allow you to use iPads to give the customer a virtual tour of the cemetery - you’ll be able to show them in real time which plots are free and what the area looks like! Pretty cool! 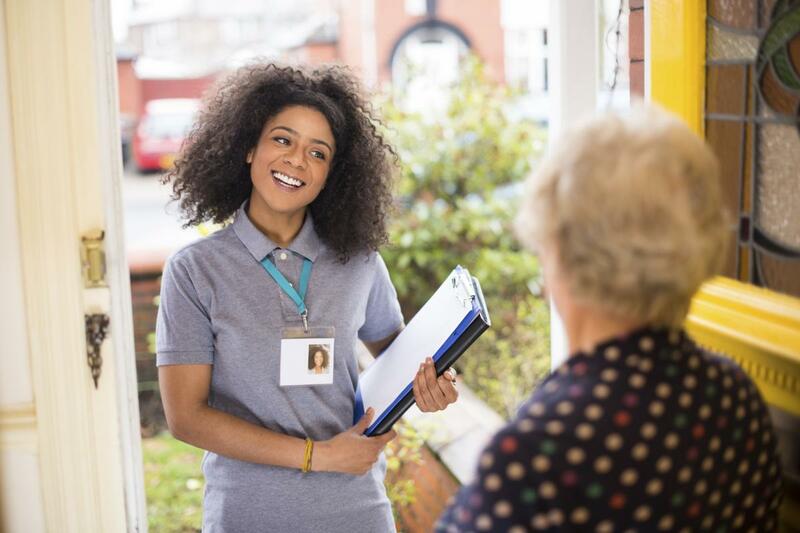 With the act of knocking on doors dying out, sales staff who knock on doors stand out from the crowd since they are the only ones who made a face-to-face interaction with prospects who are probably subject to a plethora of online content every day. Take advantage of your lack of competition in this area! Most people are too polite to say no right away. They’ll let you talk when they have no intention of ever purchasing. Giving them a comfortable environment in which to say no will allow you to get to it faster and move on. This seems like an obvious one, but surprisingly it doesn’t always happen. Before you leave a prospect, always agree a next action! Not only for your own pipeline, but for good customer service. In-home sales can be intimidating and disheartening at times. It can be all too easy to get caught up in other activities: completing order forms, refining your pitch, filing your nails... It’s therefore so important to set yourself a target! How many houses do you want to visit and how much time do you have? From there you can decide how long to spend at each house. Don’t go over that time! When your time is up at a house, try and gauge how interested the customer is. At this point either nail down your follow up or cut your losses and leave. You’ll be glad you did! Come rain or shine, always dress smartly! You’re asking complete strangers for their trust in you - dressing well is the least you can do! And don’t forget that you don’t get a second chance to make a first impression. Whether it’s a document with further information, business cards, brochures or a flier to leave behind if there’s no one in, make sure that you have the marketing materials that you need. And knocking on doors doesn’t have to be all old-school...why not try combining digital with traditional? Consider bringing an iPad so you can easily show customers your website, sign them up to emails, send them information, etc. You can also use your PlotBox app to assist with live inventory management, and to make it easier to sign up prospects on the spot with PlotBox’s in-app contract management feature. Bringing your sales and marketing materials out and about has never been easier! Take one or two steps back from the door after ringing the doorbell - anything less than this and risk your prospect feeling threatened from the outset. Not a good start! Also, never step into the house without being invited and DON’T invite yourself in! Don't be a nuisance caller! Have you got some form of ID? You could be asked to prove you are who you say you are. Consider local laws and signs on individual doors - is there anything to prevent cold callers? And finally, be careful of older or vulnerable people. If you’re not sure, you may be better to make an appointment to visit them when they have someone they trust with them. So, now that you’re all set to get started knocking on doors, read here to find out more about how PlotBox’s contract management module can assist in your in-home selling.